So it's official, Wenger is possessed by the ghost of Paul the Octopus. How else would you explain the fact that he predicted that Arsenal would face Barcelona in the knockouts? That said, we have some tantalizing matchups. Too bad we won't get to see a UEFA League or a CL in 2022... but that's another story. So which are our picks? 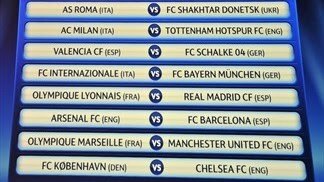 AC Milan v Spurs, Bayern v Inter and Arsenal v Barca. Sure there are other good games, but these have some must see stuff. AC Milan v Spurs. Bale has been the subject of all manner of buying rumors. Sure, Spurs could use the money to beef up their constantly limping back line, and AC has been rumored to want him bad. There is also the manner of this being the first time Spurs have made the knockouts, while AC Milan boasts a lineup that for the life of me, I don't think hasn't seen one (how's that for a double negative?). Bayern v Inter. Rematch of the 2010 Final. Inter won it 2-0 then. Bayern has been stumbling, but they always show for the big Cups. Inter actually qualified 2nd in the group after barely beating Spurs 4-3 at home then getting trounced away. Arsenal v Barca. If not for the prediction that Wegner made (clairvoyant or just knows UEFA is corrupt? ), then watch it for the rematch of last year's quarterfinal that saw them draw 2-2 at Arsenal then lose 4-1 at Camp Nou and the fact that Barca beat Arsenal for all the marbles in 2006's CL Final. 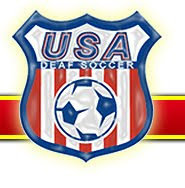 The first leg is Feb 15/16 and Feb 22/23 while the second leg is March 8/9 and 15/16. Relatively easy draw for Man U and Chelsea (no offense to my Danish friends who support Copenhagen) but a heck of a tough matchup for Arsenal and Spurs. Hard to pick against Barcelona and Milan in those matchups. I think we all agree the best matchup is Inter and Bayern Munich. That will be crazy intense, but I have to pick Inter with the more recent success head-to-head and my main man Wesley Sneijder. 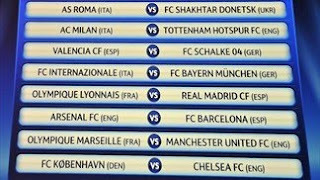 So, my picks are: Roma, Milan, Valencia, Inter, Madrid, Barcelona, Man Utd and Chelsea. I hope these are permanant brackets because I like having Madrid and Barcelona meet in the quarterfinal, and Man U meet Chelsea, as well as all three Italian teams in the same side of the bracket. But I think they re-draw new pairings next round.